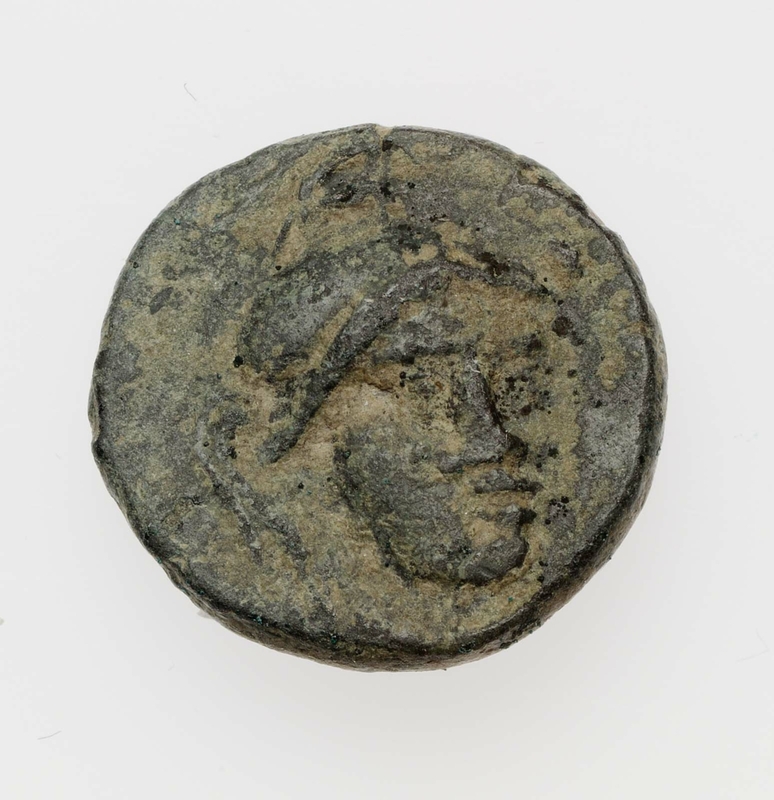 Obverse: Helmeted head of Athena, three-quarters right. 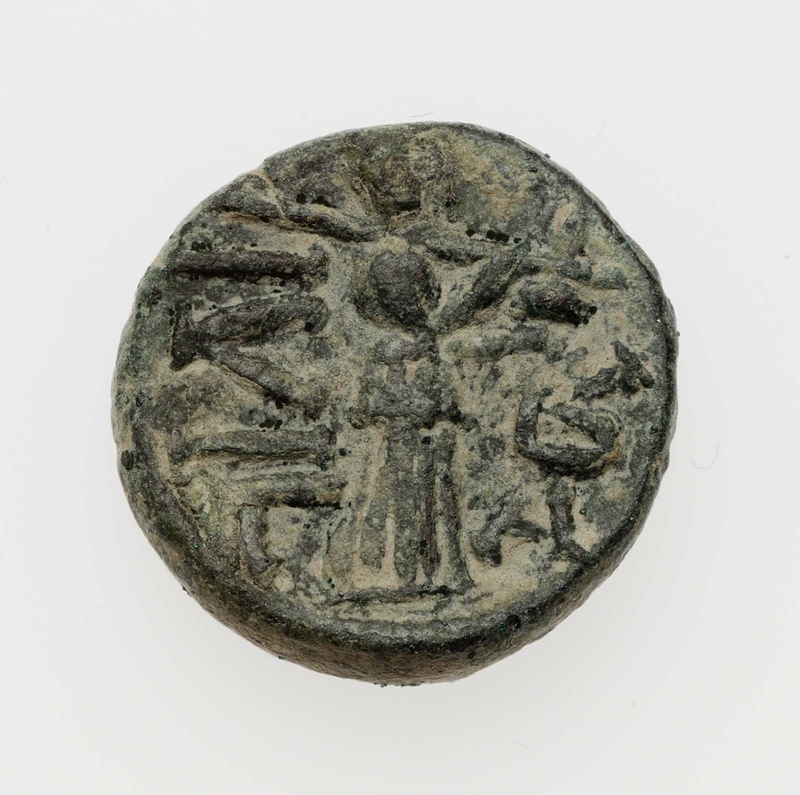 Reverse: Athena Ilias stands right, spear on right shoulder, distaff in left hand. At right, monogram. Inscription in Greek.